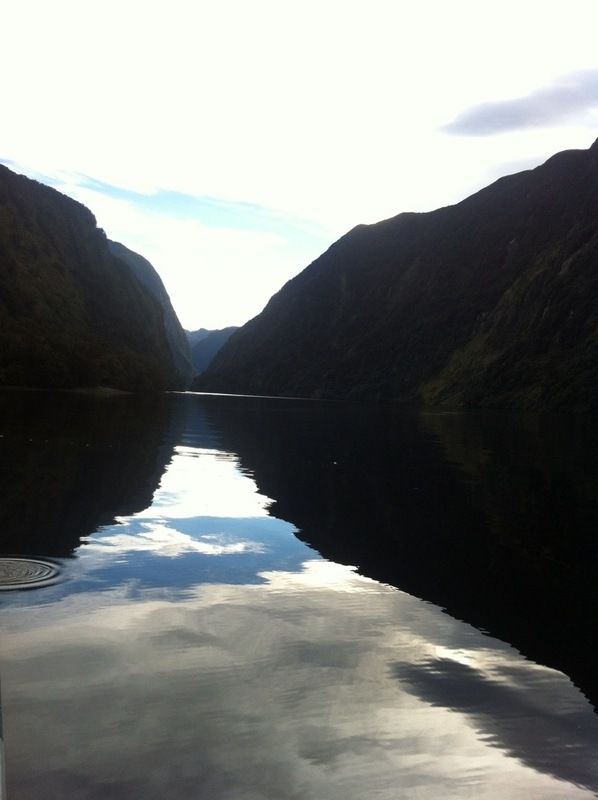 After hectic and adventurous Queenstown we headed further South. 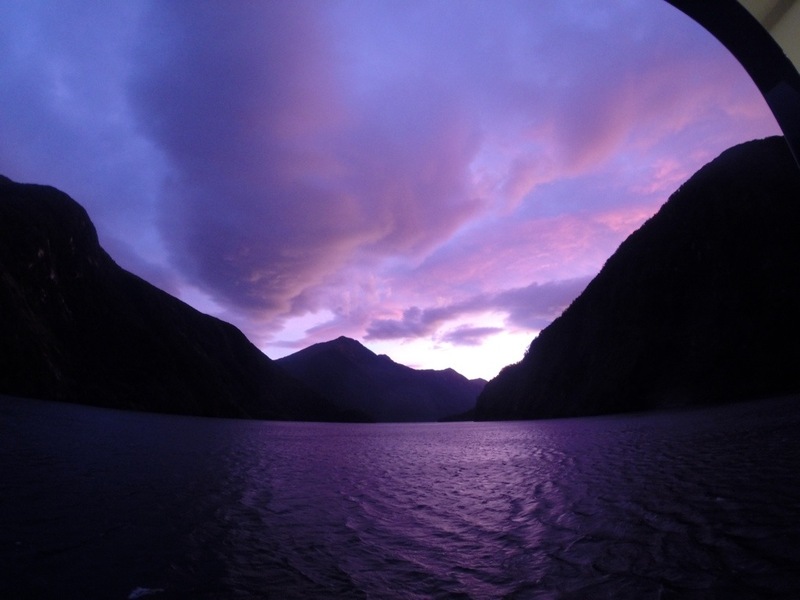 Originally we were planning to take a day trip to the famous Milford sound, a tourist hotspot, a “must do” in New Zealand apparently. However, on the bus on the way there we were given a booklet showing a place called Doubtful sounds, I must admit I hadn’t heard of it before. 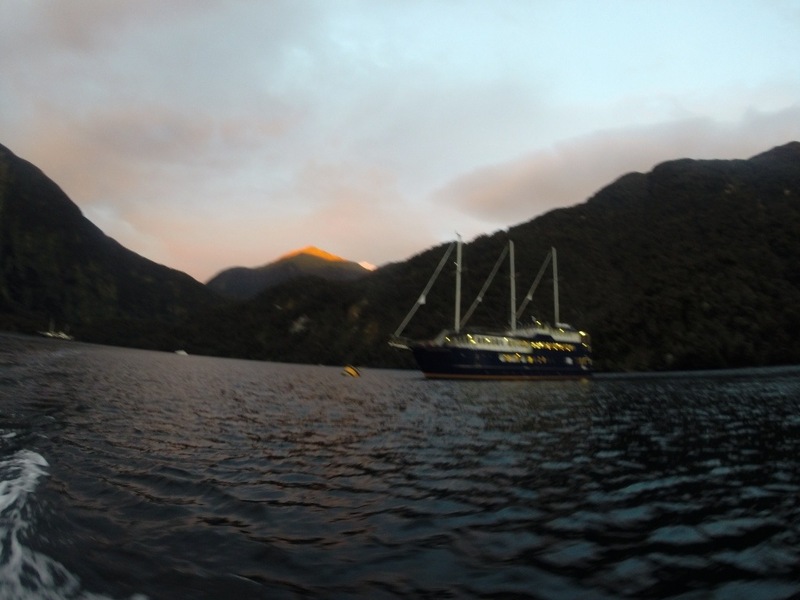 Our driver told everyone that this place was 10 times the size of Milford sounds and only 1 boat goes there, an overnight cruise which only has 8 spaces. It was a lot more expensive that the day trip but we really wanted to do it, to really get to experience the nature, and not to mention the amazing buffet! We were extremely lucky and both got a place for that night. It was a mission to get to, a boat then a bus then another boat. That just gives some scale as to how far away it was from civilisation and reality. It really was worth the journey, the place was unreal. 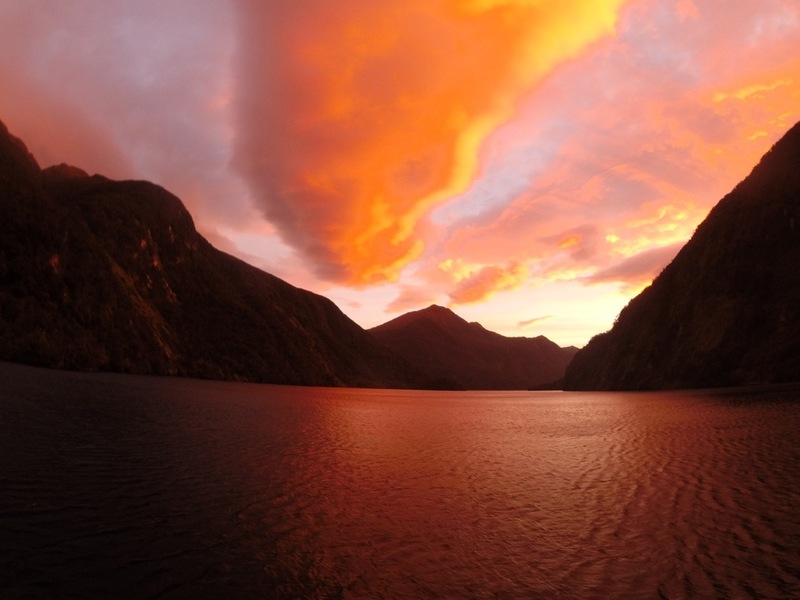 Doubtful sounds was discovered by Captain Cook when he first inhabited the country, he was too afraid to sail down the fiordlands as he believed he wouldn’t find anywhere, hence the name ‘doubtful’. How wrong he was. It was one of the most remote and most beautiful parts of New Zealand, I felt so privileged to be in such an incredible part of the world. The boat was really nice, we had our own private posh cabin and our window had the best view, the buffet dinner was so so tasty. Being backpackers and not really eating much rich exquisite food, it felt like luxury! It was all you can eat too so of course we stocked ourselves up until we felt sick. 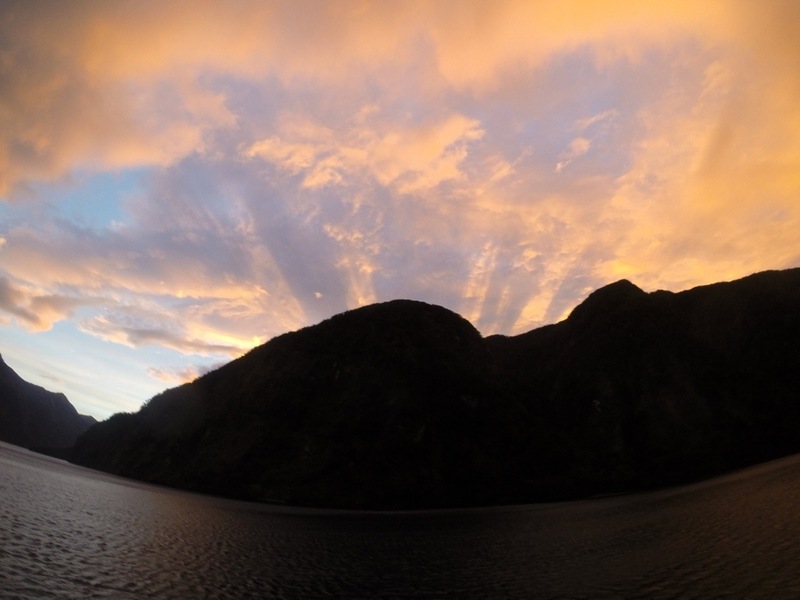 The one thing I will always remember from Doubtful sounds is the sunset that evening, it was very surreal really. One of the most beautiful things I’ve ever seen and I’m sure it’s the closest thing I’ll ever get to heaven whilst being alive. The clouds looked exactly like a huge pink candy floss in the sky on a beautiful sun kissed orange background, I had no idea the sky could create such wonderful colours! It happened so quickly, everyone was on the top deck trying to get a good shot. The sun had gone behind one of the many forrest filled mountains and behind the highest point came sun beams bursting out, I can’t even describe how pretty it was. Because of the unforgettable sunset we agreed to get up early the next morning to watch the sun rise. 6am we were up on the top deck, shivering, trying not to spill hot coffees blowing in the heavy winds. An hour had passed in the pitch black, finally the sun rose but it was disappointing. It was very cloudy and not much colour to the sky just white and pale blues. After a while we gave up and headed straight to the buffet breakfast, which was also very nice! 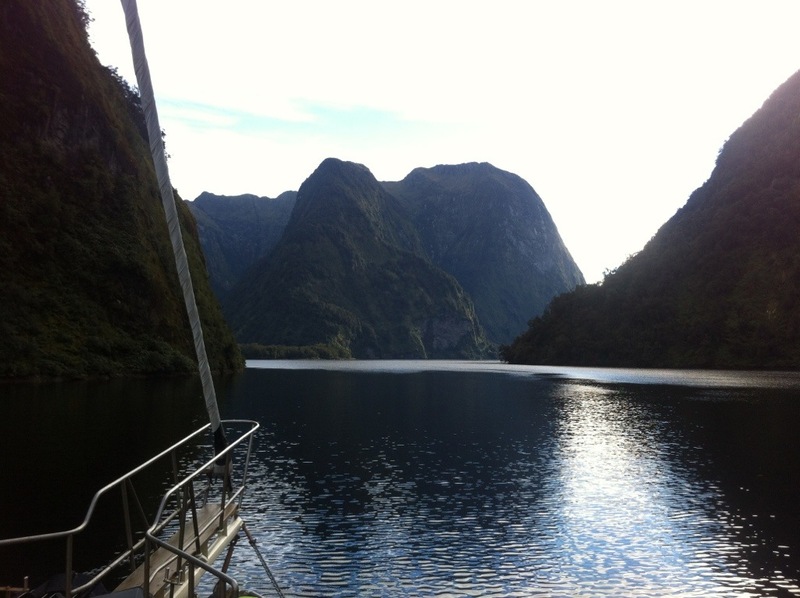 Doubtful sounds is definitely one of the most beautiful places I’ve been to. I feel very lucky to have been there and stayed overnight. 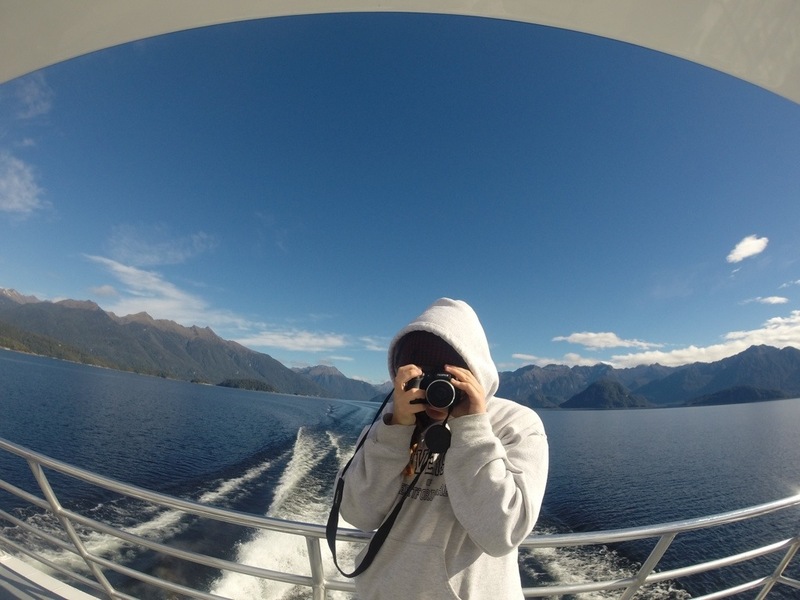 If you’re interested in seeing Milford sounds, I would 100% choose Doubtful sounds instead. I’ve heard people who visited Milford were disappointed, it’s extremely touristy, rushed and over crowded. You will be in total awe of Doubtful, just like I was!